BLVDAVE: Weekend Edition - Coming Soon: Ghost Rider: Spirit of Vengeance Trailer debuts !! 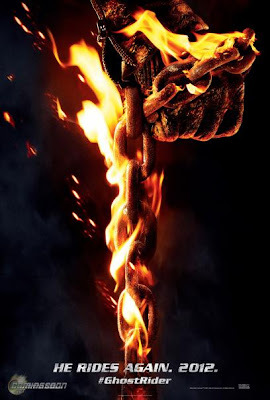 Weekend Edition - Coming Soon: Ghost Rider: Spirit of Vengeance Trailer debuts !! In the February 17 release, directed by Mark Neveldine and Brian Taylor, Johnny - still struggling with his curse as the devil's bounty hunter - is hiding out in a remote part of Eastern Europe when he is recruited by a secret sect of the church to save a young boy (Riordan) from the devil (Hinds). At first, Johnny is reluctant to embrace the power of the Ghost Rider, but it is the only way to protect the boy - and possibly rid himself of his curse forever.